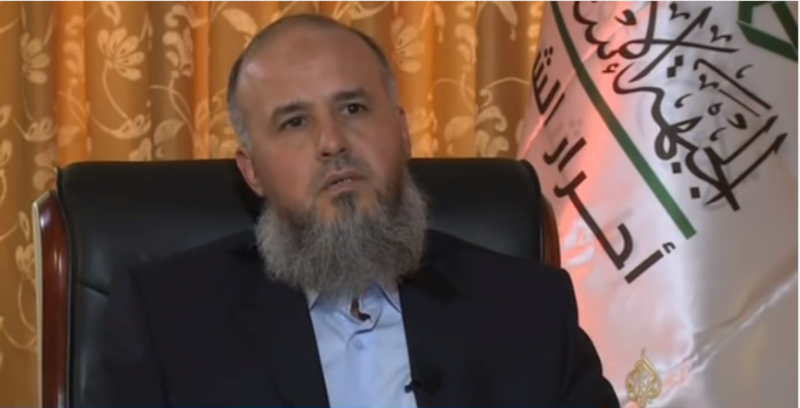 Rebel groups in Aleppo have united behind Hashem al Sheikh, who led Ahrar al Sham from Sept. 2014 to Sept. 2015. Several rebel groups based in and around the Syrian city of Aleppo have reportedly united their military efforts under the leadership of Hashem al Sheikh, the former emir of Ahrar al Sham, an al Qaeda-linked jihadist group. The new alliance is purportedly named Jaysh Halab. However, none of its constituents appear to be using that name yet. And The Long War Journal cannot independently verify that the coalition has become operational, as reported by multiple sources. In addition to Ahrar al Sham, it reportedly includes five groups from the loosely organized Free Syrian Army (FSA), as well as the Islamist Nur al-Din al-Zanki Movement. According to NOW, the FSA factions that have joined are: the 101st Division, the 16th Division, the First Regiment, the Mountain Falcons Brigade and the Sultan Murad Division. Al Nusrah Front, al Qaeda’s official branch in Syria, is not a named member of the military alliance. But if it begins to launch operations the new coalition will almost certainly cooperate with Al Nusrah, as some of its constituents, especially Ahrar al Sham and the Nur al-Din al-Zanki Movement, have long fought side-by-side with al Qaeda’s men on the battlefield. The rebel formations in Aleppo have been reshuffled numerous times during the course of the war, making it difficult to track without firsthand sources. Jaysh Halab is just the latest such military configuration, supposedly formed in response to an offensive launched by Bashar al Assad’s regime and its allies. 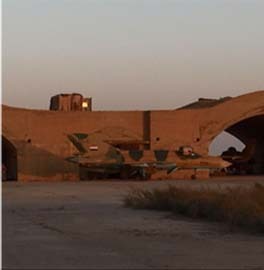 Russian airstrikes have provided cover for Iranian-backed Shiite militias and Assad’s fighters as they’ve gained ground in the Aleppo province since earlier this year. 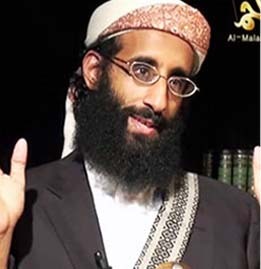 Hashem al Sheikh, also known as Abu Jaber, is a veteran jihadist and a high-profile leader. 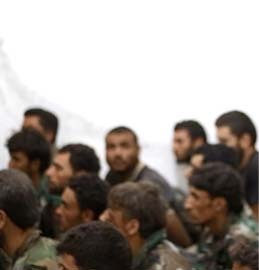 Al Sheikh took over as the emir of Ahrar al Sham in September 2014, after the group’s leadership cadre was wiped out in a mysterious explosion. He continued in that role for one year before voluntarily stepping down in September 2015. 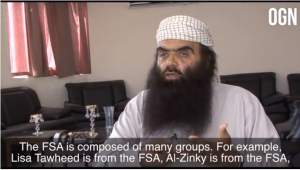 In April 2015, Al Jazeera broadcast a lengthy interview with Al Sheikh, who complained about Al Nusrah Front’s role as a branch of al Qaeda. Al Sheikh argued that Al Nusrah’s allegiance to al Qaeda hurt the Syrian revolution. Other Ahrar al Sham commanders have made the same argument, claiming that al Qaeda’s overt presence in the rebellion hinders the effort to topple Assad by bringing unwanted scrutiny from the international community. These same Ahrar al Sham commanders likely realize that the Gulf nations opposed to Assad will not provide as much assistance as they could as long as al Qaeda, an international pariah, is recognized as a strong player on the battlefield. Indeed, al Qaeda’s senior leaders tried to hide their affiliation with Al Nusrah at first for precisely this reason. Al Qaeda wanted to avoid the unwanted attention that comes with the al Qaeda brand name as it built up its paramilitary army and focused on toppling Assad. As a result of an open dispute with the Islamic State’s Abu Bakr al Baghdadi in April 2013, however, Al Nusrah Front leader Abu Muhammad al Julani revealed his allegiance to Ayman al Zawahiri. The al Qaeda chieftain criticized Julani’s decision, noting that al Qaeda had not given him permission to announce his fealty or reveal his connections. None of this stopped Ahrar al Sham from cooperating with Al Nusrah on a daily basis during Al Sheikh’s tenure, or after he stepped down. Al Sheikh has eulogized fallen jihadists, including Al Nusrah Front members, as “martyrs” on his Twitter feed. In one tweet on Feb. 26, 2015, for instance, he asked Allah to “comfort our dear brothers in the #Al Nusrah Front regarding” three slain fighters, including one who was the “emir of the Syrian Desert.” More recently, in early January, Al Sheikh honored a deceased Ahrar al Sham commander known as Abu Rateb al Homsi, whom Al Nusrah Front identified in its own eulogy as a jihadist who had fought in Afghanistan. In an article published in November 2015, As Safir (a Beirut-based publication) described Al Sheikh as “a former fighter in Iraq under the leadership of Abu Mus’ab al Zarqawi,” who founded al Qaeda in Iraq. Other sources corroborate this description, saying Al Sheikh was a jihadist facilitator who coordinated the movements of “mujahideen” traveling through Syria on their way to Iraq, where they fought American soldiers and their Iraqi allies. One of the strongest rebel groups in the new Jaysh Halab alliance is the Nur al-Din al-Zanki Movement, an Islamist organization that has received American-made anti-tank TOW missiles. Zanki, as it is commonly known, has maintained relations with regional actors interested in toppling Assad’s regime. In 2014, the Beirut-based Al Akhbar reported that “the group was aligned with Turkey,” but had “shifted” its “allegiance to Qatar” after its leader, Sheikh Tawfiq Shihab al Din, returned from a visit to Doha. However, it is likely that Zanki has maintained relations with both Turkey and Qatar. The TOW missiles it has received have been supplied via a Military Operational Center (MOC) in Turkey. The MOC is reportedly staffed with personnel from multiple countries, including CIA officials. Zanki documented its use of TOWs well into 2015, but one commander told Voice of America in October that the group currently did not have any. In addition to Turkey and Qatar, Zanki has maintained relations with Saudi Arabia. Zanki sent representatives to a Saudi-hosted conference for anti-Assad rebels in December and praised Saudi Arabia’s decision to cut diplomatic ties with Iran in January. Even though Zanki has been described as a “CIA-vetted” rebel group and has received TOW missiles made in the USA, it has worked with Al Nusrah. Zanki leader Sheikh Tawfiq Shihab al Din defended Al Nusrah’s decision to fight the Syrian Revolutionaries Front (SRF), which also received support from the West, in late 2014. Despite the fact that the SRF itself cooperated with Al Nusrah, the al Qaeda branch decided the group and its leader, Jamal Maarouf, stood in its way in northwestern Syria. 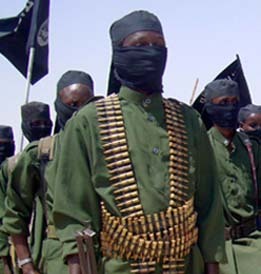 Sheikh Din faulted the SRF, not al Qaeda’s arm, for the conflict. “The corruption of the Syrian Revolutionaries Front, which is led by Jamal Maarouf, is the cause that has given legitimacy to Al Nusrah Front to fight it,” Din told Al-Quds al-Arabi in November 2014. Al Nusrah, Ahrar al Sham, and Zanki have long been allied against the Kurds in Aleppo. In May 2015, 15 factions signed a pact “to help the oppressed people” of the Sheikh Maqsud neighborhood in Aleppo and “to repel aggression either by peaceful means or by war.” The signatories, which included Nusrah, Ahrar and Zanki, blamed the Peoples’ Defense Units (YPG) for committing “repeated attacks” in the neighborhood, which was populated by a mix of “Kurdish and Arab ethnicities.” Although Al Nusrah and Zanki were not formally part of the same coalition in Aleppo at the time, the agreement demonstrated that they were cooperating with one another against Kurdish forces, who are among America’s key allies in the war against the Islamic State in northern Syria. In August 2015, a senior al Qaeda operative in Syria defended the jihadists’ relationship with Zanki, arguing it is one of the Free Syrian Army (FSA)-affiliated groups that should be counted as an ally in the fight against the Assad regime. In an interview with “On the Ground News,” Abu Firas al Suri (seen on the right) discussed Al Nusrah’s rivalry with the Islamic State at length. Suri, a longtime al Qaeda member who sits on Al Nusrah’s elite shura council, explained that the so-called “caliphate” had criticized Al Nusrah for cooperating with the FSA. 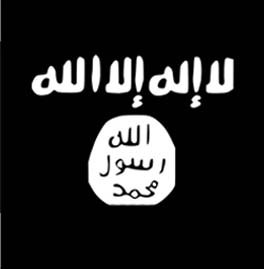 Suri found the Islamic State’s complaints to be misguided, because the FSA factions allied with Al Nusrah had no ideological project of their own, were willing to adjudicate any disputes in common sharia courts, and were fighting Assad. “The Free Syrian Army groups said they were ready for anything according to the Islamic sharia and that we are delegated to apply the rulings of the sharia on them,” Suri explained. The Islamic State rejected cooperation, however, branding the FSA factions as infidels. 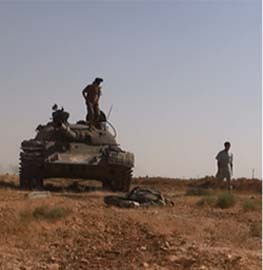 As The Long War Journal has previously reported, members of Zanki and Al Nusrah clashed at a checkpoint in late September and early October of 2015. Zanki’s “political bureau” then denounced Al Nusrah in tweets that were published in both English and Arabic. However, the infighting did not lead to a permanent rift between the two. Instead, Zanki complied with Al Nusrah’s demands and quickly apologized. The “relationship between us and our [Nusrah] brothers is proceeding on even better terms than what it was in the past, and this incident which occurred between us and our [Nusrah] brothers will not deter us from vigorously continuing to strengthen the bond of Islamic brotherhood between us and them, and which obligates us – religiously – to cooperate and combine efforts and fight off the aggressor enemy,” Zanki’s apology continued. Given the brotherly relations between Al Nusrah, Ahrar al Sham and Zanki, it is likely that they will all continue to cooperate, even if they do not advertise this fact. As soon as they mention Sharia, reset your compass that this is part of the Bedouin plan to replace Ottoman traditions and civil Kanun Law with the Saudi system. Don’t want no modern genetics, Darwin’s evolution, world history, modern literature, them silly women driving. Hell No! to what you’d call democracy. Abu Jaber is from the Jihadi branch of the pro-Sharia group. Same as Al Qaeda. Same as Al Nusrah. And these characters are getting artillery from CIA as urged by McCain and Clinton which they use mainly so’s they can kill some Kurds. Great comment. One of the dimensions that often gets overlooked in this conflict and throughout the Middle East is the cultural (and some would argue racial) one. Bedouins are the original Arabs who popped out of the desert and Arabized everyone else. Arabs in the Levant consider themselves on a higher level even though the Bedouin contingent is strong there as well. Just look at the physical difference between Bashar al-Assad and the guy who ate the dead Syrian soldier’s organs. The latter is clearly a Bedouin savage. I’ve had the displeasure of meeting some Bedouin types here in the States, especially from Saudi, and they are some of the most degenerate people I have ever met. The FSA who were the first to rise up against ASSAD and his regime, were not being backed up by the OBAMA administration. They were being promised to be backed, but the administration early on did not fully trusted the FSA. The way that I see it is the dithering and constant back and forth of not backing these dissaffected former professional Syrian soldiers who rose up against assad. The situation kept deteriorating where the assad regime were indiscriminitely killing their own people. Then you had these extremist groups like alquida and ISIS take full advantage of the chaos. Last year when Putin used his forces to support assad is when President Obama decided to really back some of these groups. Until putin, the president was dithering in his commitment. Half a million syrians have been killed. Millions more are refugees from lebanon to turkey. Approx a million have arrived in europe. Expectations are a million more are arriving this year. I love american and western foreign policies.